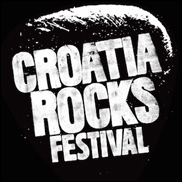 CROATIA (VIP NEWS) — Ibiza Rocks Group is launching a new event in 2015 called Croatia Rocks Festival. Zane Lowe, Ibiza Rocks music director said: “I love working with Ibiza Rocks. We`re looking forward to playing in Croatia next year, as the Rocks family continues to find new audiences in new places."